Are you a soon to be bride or groom? Are you planning your last hoorah? Looking for the best hen and stag do activities in Newcastle? Whether you’re a local or fancy seeing your single years out with a bang in a new city, Newcastle is your spot! In a city passionate about its rich clubbing heritage, it’s got a strong reputation for fun, frivolity and down right friskiness! The city may lead you to draw associations with the outlandish Geordie Shore party personas but it will not fail to disappoint as your perfect party host, offering no limit of bars, clubs, and pubs to suit your needs. Although, don’t just restrict the stag and hen to the haunts of twilight hour, keep the fun going all day and try something new. If you’re looking for something a bit different to your classic sweaty nightclub, Newcastle has an array of out there activities for you to dip your toe into. Here at As You Like It, we have just the ticket to get you and your hens going! You might well be a pro at cocktail consumption but why not swap sides of the bar and try your hand at mixology so you can shake it and taste it all in one go! 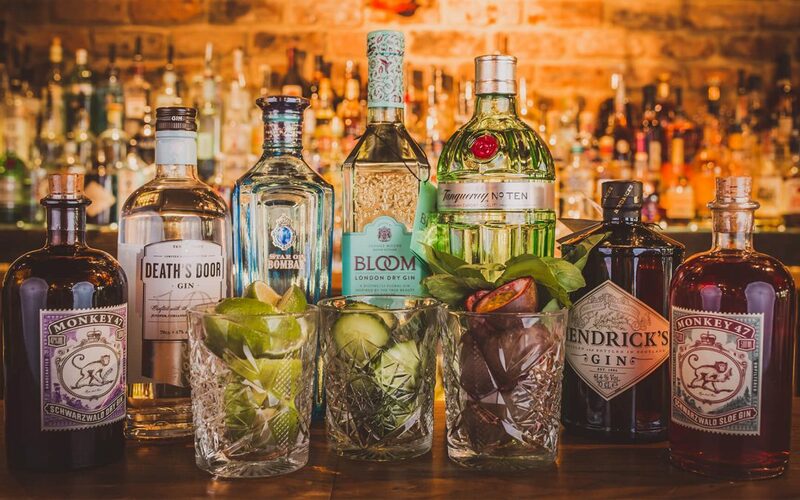 We have created the opportunity to have a private masterclass experience in which our customers can learn the secrets behind the art form of mixology and give making our premium concoctions a go themselves. Book one of our cocktail masterclasses today by calling us on 0191 281 2277. Dine in style with your girlies over a prosecco afternoon tea! A blissful and sophisticated afternoon tea is a great way to wind down and recharge those wedding stress batteries. Cakes and treats washed down with a glass of fizz is all we could ever ask for! Have a pre-wedding pamper session and relax with your hen’s with a spa day. Newcastle has an abundance of spas to choose from and packages to fit all price ranges, from manicures and massages to an all day affair a spa pamper is a great way to spend you hen. Try the Orchard City and Spa or The Malmaison for some great options. A great daytime stag activity if you’re up for an action packed weekend is outdoor paintballing! For those who are into their video games, bring Call of Duty to life and recreate the battlefield in the North East as you don your overalls for the paintballing challenge. This is a fail safe hit and is a great one for a large stag group and you can split into teams and go head to head for some healthy competition. The ultimate stag challenge is definitely an option for the extreme sports stag do. Have the ultimate outdoors experience with this challenge package and try your hand at RX buggies, archey, tomahawk throwing and much more! You’ll even get lunch thrown in – who could refuse! Does your stag fancy himself as a bit of an eating machine? If so, treat yourselves and try out a food eating challenge in Newcastle! You certainly won’t leave hungry and it could be a great one for hangover munchies. Having a wild night out on a stag do is a 100% must, but why not try something a bit different and transfer the party to the River Tyne. Hop on a booze cruise and make your stag captain for the day with an all singing, all dancing travelling party complete with a fully stocked bar and party deck. With a range of price packages and hundreds of boat party companies to choose from it’s an absolute must for those looking for a party- sail off into the sunset under the iconic Millennium Bridge. If all else fails, grab the boys and head down to Collingwood Street or the so-called ‘Diamond Strip’! What could be seen as the toon triumvirate, we recommend three clubs as very much stag worthy – House of Smith, Floritas Bar and Madame Koo. These spots are great for dipping in and out if you fancy a spot of club hopping, ensuring every night of the week you aren’t stuck for an option. These options will leave you spoilt for choice, but whatever your preference enjoy and congratulations on the upcoming wedding from the team here at As You Like It.